One of the most watched and most awaited TV show of Television is now up and running. Yes we are talking about Sony’s reality show Indian Idol 6. Mostly all lovers of music do end up waiting for Indian Idol every year as everybody wants to just show his/her talent to whole world and Indian Idol simply provides the platform for it. The show was actually dropped last year for the launch of ‘X Factor India’. But some important aspects have not changed. Mini Mathur and Hussain Kuwajerwala who have previously hosted the show are once again back to host Season 6. So what about the judges? Well, here you go with those details. As expected Anu Malik, Salim Merchant and Sunidhi Chauhan are the judges. But hang on; soon they were joined by the famous and really talented playback singer of Hindi cinema, Asha Bhosle, Renowned for her voice range and often credited for her versatility, her work includes film music, pop, ghazals, bhajans, traditional Indian classical music, folk songs, qawwalis, and Rabindra Sangeet. Apart from Hindi, she has sung in over 20 Indian and foreign languages. Did you know that Sunidhi Chauhan made her debut on television as a jury member on Indian Idol 5? She is a versatile playback singer, best known for her Bollywood film songs and she began to sing at the age of four and was spotted in the singing contest, Meri Awaz Suno, which she went on to win. Salim Merchant too got involved as one of the judges in Indian Idol 5. Salim, who has learned music from the Trinity College of Music in London, has brought a global edge to Bollywood’s music world, to go with the changing face of the film industry. Eagerly waiting to know more about Anu Malik? Well he has been the jury member on Indian Idol since its inception. Known for his cheeky and straightforward comments, he was also a judge in the first Asian Idol held in Indonesia, representing Indian Idol. Who can forget the winner of the first season of Indian Idol was Abhijeet Sawant, from Mumbai. Do you know who the winners of Season 3 and Season 4 were? I know it’s a tough one to answer. Don’t worry; here is the list of the winners from all the seasons of Indian Idol. What about the Auditions and the cities that were selected for Indian Idol 6? Auditions were carried across India including Delhi, Mumbai, Aurangabad, Orissa, Kolkata, Lucknow, Jaipur, and Amritsar. As mentioned in the promos this year ‘Indian Idol‘ will not only strike an emotional chord but also promises to shock the viewers by showcasing the amazing talent that breeds in the country. Would you like to know more about Indian Idol 6 and the judges? Well for that you will have to watch the show on Friday and Saturday on Sony Entertainment Television at 8:30 pm and to do that don’t forget to set a reminder using our iDubba app so that you don’t miss the show. Indian Idol Season 6 set to bring the best of India’s talent to your television sets! It was time for Sony Entertainment Television India to bring on one of its most successful interactive reality talent show. Yes we are talking about Indian Idol Season Six. The show, which was dropped last year for the launch of ‘X Factor India’ has made a comeback this year and as mentioned in our earlier post “Indian Idol is back again”, Mini Mathur and Hussain Kuwajerwala who have previously hosted the show are once again back to host Season 6 of Indian Idol. So have you managed to catch the 1st episode (Auditions)? Did it live up-to the expectations of the audiences? Will it shock the audiences with great talent? Let’s find out more about the 1st episode and the events on the show. As expected Anu Malik, Salim Merchant and Sunidhi Chauhan were all set to judge the contestants. But hang on, soon they will be joined by the famous and really talented playback singer of Hindi cinema, Asha Bhosle. The 1st Episode was in Capital of India – Delhi, but there were also contestants who had come all the way from neighboring cities like Amritsar to show their talent. As mentioned in the promos this year `Indian Idol` will not only strike an emotional chord but also promises to shock the viewers by showcasing the amazing talent that breeds in the country. There were many amazing contestants who did live up-to the high expectations of the judges. As always Anu Malik was at his best with his so called jokes. Sunidhi Chawan was looking as young as ever, giving glimpse of her golden voice. Salim Merchant was as cool as ever with his looks and style. The show also had Shreeman performing on ‘Desi Boyz’ for a huge crowd. There were many occasions when all the three judges made a unanimous decision and gave the entry to Mumbai for the Piano round. There were also some emotional stories of participants who were sharing their dreams, and the struggle that they had to go through in order to reach on this show. There was a crazy moment in the show when one of the contestants was all set to show his magical software, when he almost covered his mouth with this hand and started singing. The judges were zapped watching it and I’m sure that the viewers too had a great time watching it. There was a rocking performance by Amit Kumar who made Sunidhi Chauhan get off her seat and ask him for a hug! Vipul Mehta from Amritsar who was trained in music, also managed to wins judges’ heart with Sukhvinder’s song! Although this was the first episode, there are many more sensational singers who will be seen in the coming episodes. Auditions will be across India including Delhi, Mumbai, Aurangabad, Orissa, Kolkata, Lucknow, Jaipur, Amritsar. So which cities will be covered next? Well for that you will have to watch the show on Friday and Saturday on Sony Entertainment Television at 8:30 pm and to do that do set a reminder using our iDubba app so that you don’t miss the show. Do let us know your views about the 1st Episode and who was your favorite singer. Crime Patrol – Does Indian Television need more of such shows? Crime Patrol, the moment we hear these two words we are hit by the real world out there. More often we ignore the real world and are more than happy to live in our small world, where everything is kind of calm. Crime Patrol is one such show that reminds us that we live in a society that is very dynamic and is not always what we want it to be. This is one such show which presents crime against Indian citizens along with capturing how the Indian police fight against these crimes. Crime Patrol is an Indian crime television series airs on Sony Entertainment Television. The series first premiered on May 9, 2003 and since then there was no looking back. The first season was hosted by Diwakar Pundir who later was replaced by Shakti Anand. The second season was broadcasted on January 26, 2010, and was presented by known Indian television actors Anoop Soni & Saakshi Tanwar. And for Season 3 and the current season (4), Anoop Soni has been the presenter of the show. So do you think that the Indian Television audience needs more of such bold shows, that show us the harsh reality of the society that we live in? Well, there are only two options that we might have, ignore such harsh reality, or know about such things and fight it out. The show brings true stories of crime, where the police have tackled the most difficult cases. It dramatizes real-life crime and events and details how the police went about solving the case. The show also aims to look into the “why” behind a crime. Police action on one hand gives the show the edge of how the law keepers bring the culprits to book or stop a crime from being committed. This is a major boost to the society and the guardians of it, so that there is a reality check done about the society we live in. Although at times one might feel that the stories are too scary and too violent to be shown on television, but these are real cases and one must report and find out the truth behind these incidents. Indian Television Audience are exposed to a lot of news channels and also to similar cases that are reported, but they are not aware of the end results of most of the incidents. Crime Patrol does end up showing the hard hitting facts related to the events and also shows the process in which the cases have been handled and solved. Do let us know if you agree that we need such shows, or do you think such shows have a negative impact on your life? Would you hire KD Pathak for your Court Case? Those who are watching this show will surely say “YES”. And those who are not, well do try to watch the show! Did you know that KD has not lost a single case .. Till Date. You might ask who is KD !! He is better know as ‘Advocate K.D Pathak’. You might recollect him as Mr Rishabh Bajaj and Mihir Virani. He has also been referred as the Amitabh Bachchan of small screen. Adaalat is a show about KD Pathak, a sophisticated, witty and yet unconventional lawyer as he can get his clients out of the tightest of situations. But most importantly KD stands not for his client, but for Justice. Did I mention that he is a quick thinker as well…!!! Well he has this habit to get into cases where everyone has given up on the accused and when all the doors are shut. He has an amazing eye for detail and an never ending thirst for knowledge. He always seems to know enough about every profession, and what he doesn’t know he covers up with his smartness. They say that KD can do the impossible as no one can see the case from the angle KD does. He has managed to win most complex of all cases and with every new case the interest level of the audience also rises. He manages to dig for loopholes in the prosecution’s and manages to turn the entire case around. The show had started back in November 2010 and has recently completed 100+ episodes. It is getting popular amongst the audience who have glued on the some amazing cases. And the writers of the show have managed to bring in interesting characters episode after episode. So are you ready to get on with the court proceedings? Don’t worry, all you have to do is just sit back and enjoy the show. Do let us know your favourite cases and your favourite characters in the show. Watch Adaalat on Sat and Sun at 8:00pm on Sony Entertainment Television. We are in the second month of 2012 and television industry is all set to launch the brigade of its new shows. We bring an update for our viewers about such four new shows which will be released in this month on top four channels of television. Sajda Tere Pyaar Mein on Star Plus will be launched on 14th February. The release date of the show has been chosen as Valentine’s Day as the story is loosely based on a girl who will sacrifice her love for the love of her country. The story of the show revolves around Aaliya played by Deblina Chatterjee, a young college girl who falls for a guy and her love for the guy is like any other young woman full of passion, spirit and rebel. But circumstances take a u-turn when she has to sacrifice everything for her country. The story has a fresh appeal to it however it will be too early to say anything as it might end up like any other love story shows currently aired on tv. Shubh Vivah which is stated to release on 27th February on Sony Entertainment Television is like ‘Old wine in a new bottle’. The show is a remake of a tamil series ‘metti oli’ that revolves around lives and struggles of a father and his five daughters. Sony tv has been able to break the shackles of typical saas-bahu sagas with its shows like Bade Achhe Lagte Hain, Kuch Toh Log Kahenge, Dekha Ek Khwab, Parvarrish and recently Kya Hua Tera Vaada. However there is a doubt that this age old concept of a father who is struggling to get good and ideal grooms for her five daughters work with the audience. Jamuna Paar will release on 27th February on Imagine tv. Imagine tv recently launched another new show ‘Mi, Aaji aur Saheb’ that has a good concept. Jamuna Paar is another love story given a typical treatment where a beautiful, cute and die-hard romantic at heart girl falls for a casual, carefree boy. The catch is that the girl belongs to a rich family based in New Delhi and a guy belongs to a normal middle class family living in yamunpar known as Jamuna paar too. Let us see how this new show will fair among other not so great shows airing on Imagine tv currently. Punar Vivaah is a new show by Zee tv which will be launched on 20th February. Like all other channels even Zee tv is now trying something new and different with this show. 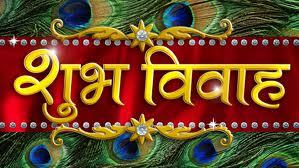 Punar Vivaah is about re-marriage of people who have lost their spouses. The female lead played by Kratika Sengar portrays a single mother who was deserted by her husband. Gurmeet Choudhary plays the role of a young man whose wife is no more and he has two daughters. They end up marrying each other due to pressure from their families and for the sake of their children. The story will unfold how such couples stay together under tough circumstances and how their emotions and feelings bring them together. Do let us know which show will keep you hooked on to television. Indian Idol is back again !!! Indian Idol… The name itself brings back lots of amazing moments that Indian Television audience has witnessed. It was a craze amongst all the sections of the society, right from kids to senior citizens. It started airing in India with the first season in 2004-2005. The last season i.e. Season 5 of this singing talent show was aired in 2010. The following year Sony had replaced it with another singing talent hunt show called the X Factor. The show had singers Sonu Nigam, Shreya Ghoshal along with film-maker Sanjay Leela Bhansali playing celebrity judges. But somehow the TRP’s of X Factor were not that impressive and did not create a lasting impression on the audience. Indian Idol Season Six is preparing to hit the small screen in April on Sony Entertainment Television, just before the fifth IPL season kicks off. In fact, the auditions for the show will begin in February. So are you exited to have Indian Back on Television? Who can forget the winner of the first season of Indian Idol was Abhijeet Sawant, from Mumbai. Do you know who were the winners of Season 3 and Season 4 ? I know it’s a tuff one to answer. Don’t worry; here is the list of the winners from all the seasons of Indian Idol. Will Mr Anu Malik be in the 6th season as well….? Speculations are high on the following singers – Rahat Fateh Ali Khan, Sonu Nigam and Kumar Sanu. And the race to host his show is also on, with Hussain Kuwajerwala and Mini Mathur being considered as the clear favourites. Happy Singing 😉 and Happy Viewing. Satellite rights game…. Who is the real winner?? Imagine that you come to know that the most recent movie that you saw in a movie hall last week is about to be aired on television in a month” time… How do you feel about it?? Well, gone are those days when you had to wait for months and months before you get a chance to watch a new movie on television. It’s the latest trend on television these days. Honestly, in my opinion both the audience and the director are the real winners and not to forget the channel that airs these movies. The channels do mint loads of money as they get maximum viewers watching their channel and no doubt sponsors make it even bigger. They get chance to showcase their latest serials to the audience.